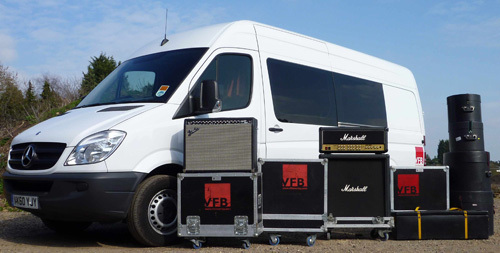 Each year, bands across the UK hit the road, with tour vans darting around the country’s motorways. But experienced musicians will appreciate that touring is not for the faint-hearted or risk-averse. With that in mind, let’s take a closer look at how you can reduce the risks of touring and gigging. If you’re driving your own bus, it is essential that you check traffic and weather conditions before setting out. Travel delays or issues with bad weather and flooding can ruin a gig or even lead to its cancellation. Even a minor delay can put you in a bad mood as it’s important to relax before a gig in order to do justice to your performance. Booking your own tour can be fraught with dangers if you don’t know your geography. If you haven’t got the budget for hotels, think carefully about how far you are prepared to drive late after a gig. A good rule of thumb is two hours but you still might think that’s too much. Also, be wary of booking gigs at opposite ends of the country close together – you don’t want to be driving from Glasgow to Portsmouth with only a day to play with. While it may be tempting to pack as many gigs in at once, think carefully about what you can actually manage physically. Always factor in a few rest days and remember the most common reason for tours being cancelled is the artist losing their voice. One day off for every three shows should be enough to allow the voice to recover. As comedian Bill Bailey discovered, it’s vital that when loading or unloading your kit that you make sure that someone is on guard at all times. It can take seconds for someone to take something from the back of your van, leaving your tour in jeopardy as you desperately search for replacement equipment. There can be a lot of hanging around at a venue and you’ll no doubt want to go and explore even if it’s just looking for a decent pub. If you are leaving kit and personal possessions, make sure they are secure (some venues will provide a safe). Pay particular attention to items like passports, laptops, iPads and phones. Protecting yourself, your equipment and your band in case of the unexpected is an essential for anyone on tour. From covering the collective cost of all your instruments, to cover for your gigs and performances if anyone hurts themselves performing, music insurance is well worth the investment.